Steve’s breakdown: Utz Snacks just bought Inventure Foods and now all these specialty food brands could be in play: Boulder Canyon Foods™, TGI Fridays™, Nathan’s Famous®, Vidalia Brands®, Poore Brothers®, and Tato Skins®, Bob’s Texas Style®. Try Jeff Martin at jmartin@utzsnacks.com. He’s the Executive Vice President of Sales and Marketing. PHOENIX, AZ & HANOVER, PA: Inventure Foods, Inc. , a leading specialty food marketer and manufacturer, and Utz Quality Foods, LLC, the largest privately-held and family-managed branded salty snack manufacturer and marketer in the United States, today announced they entered into a merger agreement pursuant to which Utz has agreed to acquire all of the Company’s outstanding shares of common stock in an all-cash transaction. Under the terms of the merger agreement, an indirect subsidiary of Utz will commence a tender offer to acquire all of the outstanding shares of the Company’s common stock at a price of $4.00 per share in cash, for a total purchase price of approximately $165 million, including the assumption of approximately $75 million of debt and debt-like items, net of cash, approximately $8 million of the Company’s estimated closing costs and approximately $3 million due to equity award holders. The acquisition is structured as an all-cash tender offer for all of the outstanding shares of Inventure Foods common stock, to be followed by a merger in which each remaining untendered share of Inventure Foods will be converted into the right to receive the same $4.00 per share cash price paid in the tender offer. The transaction, which was unanimously approved by the Boards of both Inventure Foods and Utz, is subject to the tender of more than 50 percent of the fully diluted shares of Inventure Foods common stock, the receipt of certain regulatory approvals and other customary closing conditions. The transaction is not subject to a financing contingency and is expected to close by the end of the fourth quarter of 2017. The tender offer is expected to commence within ten business days. As previously announced, on September 29, 2017, the Company entered into a Limited Waiver and Sixth Amendment to Credit Agreement (the “Sixth Amendment”) with BSP Agency, LLC, as agent (“BSP”), and the lenders (the “Lenders”) from time to time a party to the Credit Agreement (defined below), which further amended the Credit Agreement, dated as of November 18, 2015, among the Borrowers a party thereto, the Lenders, and BSP (as amended from time to time, the “Credit Agreement”). Under the terms of the Sixth Amendment, the Lenders agreed to, among other things, (i) a further extension from September 30, 2017 to October 31, 2017 of the temporary waiver of the requirement under the Credit Agreement to deliver audited financial statements without a going concern opinion, and (ii) a temporary waiver until October 31, 2017 of the financial covenants with which the Company was required to comply under the Credit Agreement. As a result of this transaction, BSP and the other Lenders have agreed to further extend the temporary waivers from October 31, 2017 to January 15, 2018 pursuant to a Limited Waiver, Consent and Seventh Amendment to Credit Agreement (the “Seventh Amendment”), in order to give the Company sufficient time to complete the proposed transaction. Without this further extension of the temporary waivers beyond October 31st, the Company would have been in default of the EBITDA financial covenants under the Credit Agreement and the requirement to deliver audited financial statements without a going concern opinion. Pursuant to the Seventh Amendment, the Lenders have agreed to loan the Company up to an additional $5 million, which the Company may require to satisfy its expected operating expenses through December 31, 2017. The Company is represented in this transaction by its financial advisor, Rothschild, and its legal counsel, DLA Piper LLP (US). Inventure retained Rothschild as its financial advisor in connection with a formal process to conduct a “strategic and financial review” of the Company in July 2016. Utz Quality Foods is represented in this transaction by its financial advisor, Stephens Inc., and its legal counsel, Cozen O’Connor. With manufacturing facilities in Arizona and Indiana, Inventure Foods, Inc. (Nasdaq:SNAK) is a marketer and manufacturer of specialty food brands in better-for-you and indulgent categories under a variety of Company owned and licensed brand names, including Boulder Canyon Foods™, TGI Fridays™, Nathan’s Famous®, Vidalia Brands®, Poore Brothers®, and Tato Skins®, Bob’s Texas Style®. For further information about Inventure Foods, please visit www.inventurefoods.com. 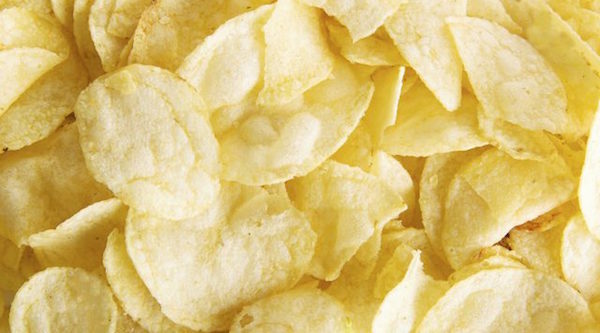 Founded in 1921, Utz® Quality Foods, LLC is the largest privately-held and family-managed branded salty snack company in the United States, producing a full line of products including potato chips, pretzels, cheese snacks, corn chips, tortillas, veggie stix/straws, popcorn, onion rings, pork skins and more. Its brands, which include Utz®, Golden Flake®, Zapp’s®, “Dirty”® Potato Chips, Good Health®, Bachman®, Bachman Jax®, Wachusett® and Snikiddy® among others, are distributed nationally and internationally through grocery, mass-merchant, club stores, convenience stores, drug stores and other channels. Based in Hanover, PA, Utz operates 10 facilities located in Pennsylvania, Colorado, Louisiana, Massachusetts and Alabama.